One of the most impressive attractions at The University of Chicago is the Oriental Institute. This museum features a sizeable exhibition on Assyrian and Babylonian art and history. As I walked through this lovely museum, I was surprised to see the small statue seen in the photo above. As a fan of the movie The Exorcist, I recognized this figure immediately. It was Pazuzu and the plaque beneath read “Pazuzu; 1st Century BC Protective Deity”. This seemed very contrary to what I had seen of Pazuzu in the Exorcist so I decided to spend some time exploring who Pazuzu was in mythology and history. In the movie, The Exorcist, based on the book of same name by William Blatty, Pazuzu is the primary antagonist. 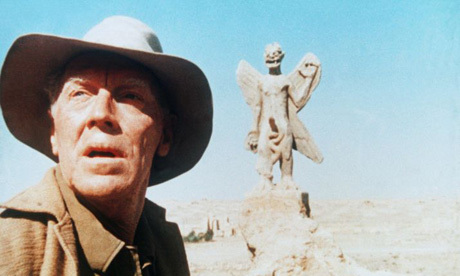 At the beginning of the movie, the primary priest and exorcist is seen standing face to face with a giant statue of Pazuzu. This foreshadows the battle that is to come. Pazuzu is the demon that the two exorcists fight. He is the demon that possesses a little girl and the final battle is a show down for the girl’s soul. Of course, the use of Pazuzu specifically is a bit anachronistic. The English word demon is a translation from the Greek daemon and in Greek this meant spirit. It didn’t have the negative or Satanic connotation most modern Western, Christian based cultures give the word. Pazuzu was a demon in the ancient sense of the word rather than the modern sense. He was a spirit and a god from the 1st century BC and was popular in Assyrian and Babylonian culture. He appeared in The Epic of Gilgamesh. He is the god of the underworld and brother to Humbaba. He controlled the west wind, storms, and locusts. He was a destructive force but ancient Assyrians would often offer prayers to him as he could also offer protection. He was terrifying but most gods were in this time. He was often a protector as well and he was commonly invoked to protect against Lamashtu, a goddess who stole children. 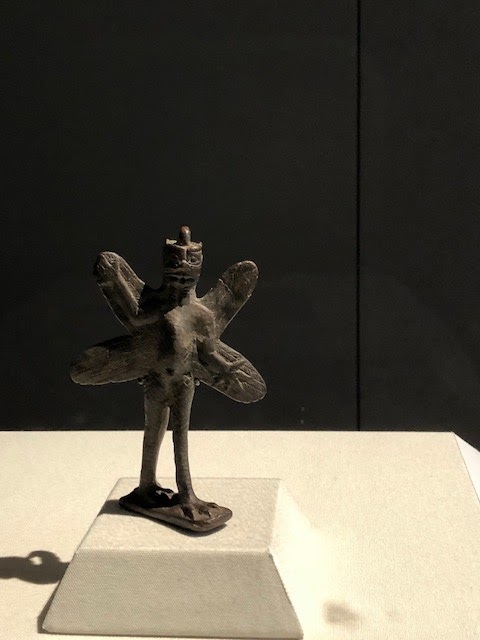 Although he could be helpful, Pazuzu was feared so the statue I saw at the museum was more typical of how he would be represented. He was so feared that a statue the size of the one seen The Exorcist would have been improbably as the people believed that a statue that large might invoke him and bring his wrath as well. Although, Pazuzu is terrifying and his image is disturbing. His use in the exorcist was not true to his mythological representation in Assyrian culture. Perhaps they should have used a Christian demon instead. They are more true to the Catholic based spirit of the movie. After all, the imaged in the movie were more based on our Western fears. Interested in Writing for BRN? This site is full of Stories from around the Web and from many different sources. They are News stories we find of interest. We claim no Ownership or Rights to any Articles. Can You Spot The Crafty Kitten’s Cozy Hiding Place? This site is full of Stories from around the Web and from many different sources. They are News stories we find of interest. We claim no Ownership or Rights to any Articles.